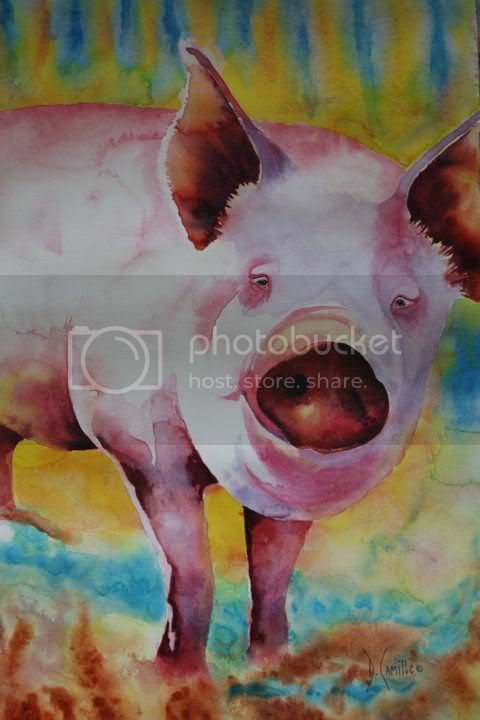 8 Comments on "ellie mae: the pink princess ..a water color by artist diana camille read (my very talented sister in law, one of jenn`s very talented aunts….beautiful art runs in our family, it just skipped me altogether!)" Oh! Ellie Mae at her finest! What a great painting! Absolutely beautiful, and she looks like she’s smiling. love love it thanks for posting it. Wonderful. I wish I had this kind of talent.